Being a mega-city, Chicago is a prime landing spot for transplants from all walks of life. 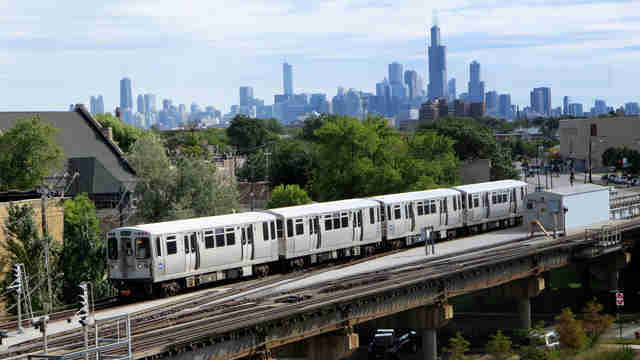 But whether you’re just spending a few years incubating here or you're a lifelong Chicagoan who’s had one red light camera too many and wants out, if you choose to leave the city, you’re definitely going to experience some homesickness. 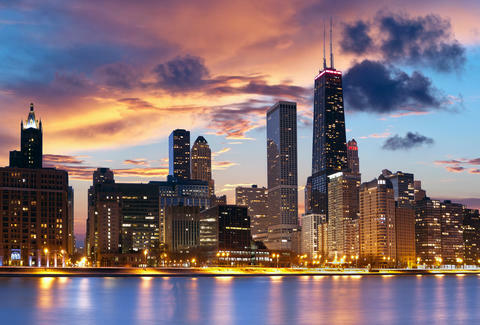 These 13 experiences are telltale signs that you’re missing Chicago. There’s something very Zen about peering out at the endless blue expanse of Lake Michigan. Want to go to the beach? No need to leave the city; just head east. Added bonus: fresh water doesn’t leave that grimy salt on your skin. So what if they “dump sewage into the lake” when it rains a bunch? A day at the beach still makes all the winter suffering worth it. Chicago is full of architectural innovation. As you enter the city, that glimpse of the skyline, from any angle, is awe-inspiring every time. After Chicago endured another record cold day, a friend from New York was amazed by how things just continued along as usual. Kids went to school. Trains ran on time. “Why is no one talking about this?” she asked. We just shrugged, put on some extra layers, and moved on with our lives. 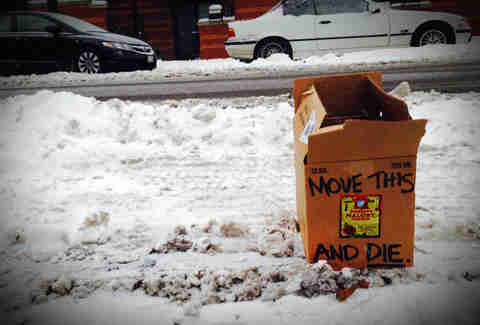 Also, dibs is a hilarious tradition. There’s so much space in Chicago. You probably know someone who has a yard and isn’t a millionaire. We even have space for our trash in back alleys, so the streets don’t reek of garbage in the summer. For being relatively simple foods, so many places get them wrong. Places where you can wear a bathing suit year-round place more importance on skinniness. Here, no one will notice that you left your freshman 15 on for good, especially as you bury yourself in layer after layer in the winter. We take the CTA for granted here, but it’s pretty expansive. Trains can deliver you right to the airport. On the bus, you should only need to transfer once no matter where you’re going. 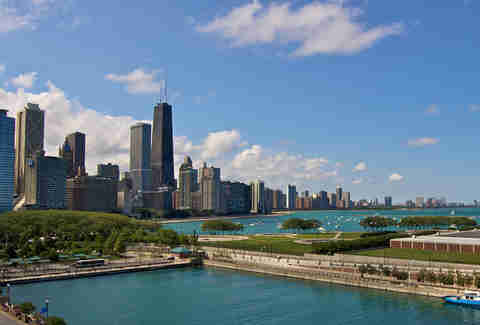 Chicago is a “city of neighborhoods,” and each one has its own unique characteristics. Yes, we struggle with segregation and gentrification, but no matter who you are, there’s a place in the city where you’ll fit right in. And in the summer, neighborhood festivals welcome people from across the city to drink in the streets. The Chicago flag is the ultimate symbol of city loyalty. 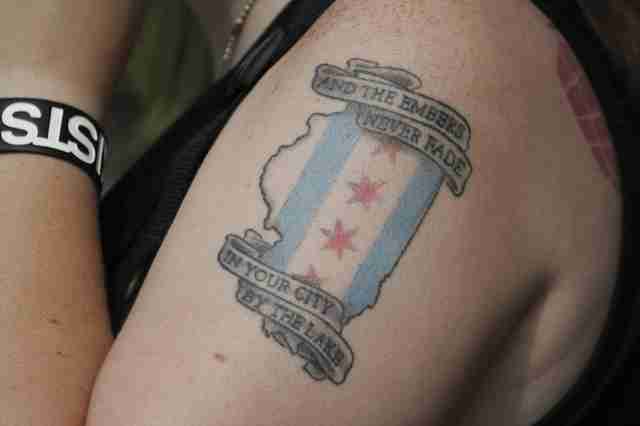 No other city in America even knows what its flag looks like -- meanwhile our residents are getting tattoos. The working-class mentality still rules in Chicago. Even our world-class industries are very down to earth. Startups here tend to focus on building real businesses instead of making a “game-changing” app or whatever. Keep your silicon. We keep it real. 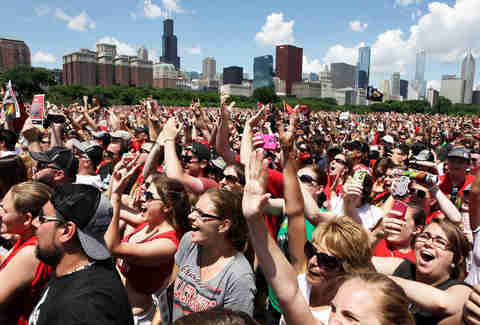 Chicago is home to some of the most dominant and storied franchises in sports. Even if they’re not winning, the teams have such a compelling history that being a fan means being part of a rich tradition. Head to the East Coast and you’ll get beat over the head by sports talk radio clones; head to the West Coast and you’ll experience sports agnosticism. Chicago is a city where you can dress however you want. Where they do exist, dress codes are usually pretty reasonable. And if you do want to strut your stuff, no one looks down at you. “Second City,” you say? 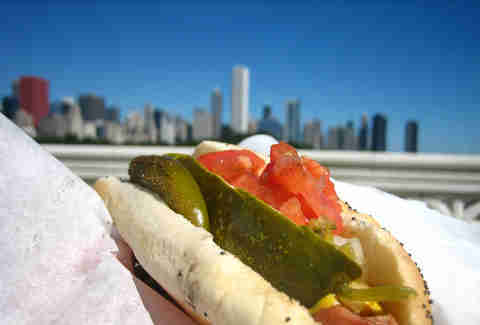 Chicagoans have a bit of a chip on our shoulders when it comes to our city. But that just gets us to work harder. And for those of us that choose to stay, we know there’s no place we’d rather be. Mike Ewing is a journalist based in Chicago. He writes love notes to Chicago and newsy things @miketewing.